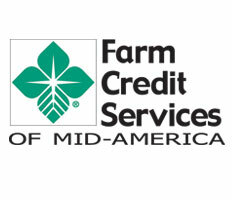 Farm Credit Services of Mid-America, an agriculture lending cooperative serving more than 95,000 customers throughout Indiana, Ohio, Kentucky and Tennessee reported strong financial results for 2011. Farm Credit Services of Mid-America, an agriculture lending cooperative serving more than 95,000 customers throughout Indiana, Ohio, Kentucky and Tennessee reported strong financial results for 2011. The AG lender stated earnings of $278.6 million, a 30.2 percent increase over 2010 and owned and managed assets of $18.4 billion, a 5 percent increase over 2010. As an example, more than 24,000 Farm Credit loans representing $4 billion in volume were converted to lower rates in 2011 which will save customers an estimated $94 million over the next three years. “As a cooperative it’s always been Farm Credit’s ultimate goal to get the best rate value for our customers. For more than a decade the Farm Credit Loan Conversion Program has offered customers a simple way to redo higher-rate loans to take advantage of a more competitive interest rate environment,” said Johnson. Farm Credit Services of Mid-America is also growing its human capital base to meet marketplace demands, improve customer service and prepare for planned retirements in the next three to five years. Hiring and training an exceptional team was a crucial focus in 2011 and will remain a priority in 2012. Farm Credit Services of Mid-America is an $18 billion financial services cooperative serving more than 95,000 farmers, agribusinesses and rural residents in Kentucky, Ohio, Indiana and Tennessee. The association provides loans for all farm and rural living purposes including real estate, operating equipment and housing and related services such as crop insurance, and vehicle, equipment and building leases. For more information about Farm Credit, call 1-800-444-FARM or visit them on the web at http://www.e-farmcredit.com.